How do you improve upon the classic BLT? Well, Dad would just say to add more bacon (before grunting like Tim Allen). But the folks at Blue Duck Sandwich Company have taken everyone’s favorite "Dad’s cooking tonight" dinner and elevated it to a whole new level. 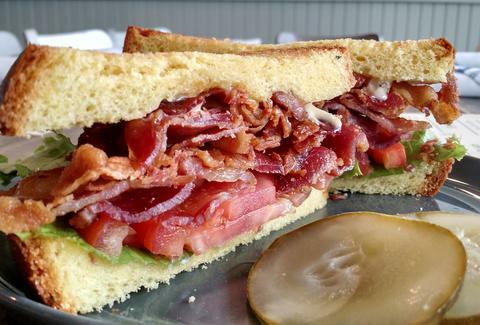 The B.B.B.L.T has 10 pieces of 1732 bacon, bacon mayonnaise, and your standard lettuce and tomato on brioche. From the outside, the Good Dog might resemble any other dive bar. However, if you venture inside you’ll be pleasantly surprised with the impressive rotating-beer list and one of the more inventive bar menus in Center City -- even good enough for the professional glutton Guy Fieri to visit last year. 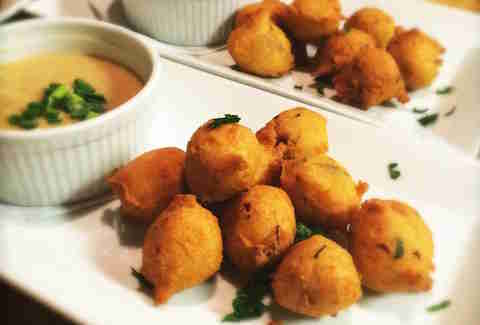 Our favorite bacon dish on the menu is the bacon hush puppies, served with a smoked-Gouda fondue infused with Brooklyn Brown Ale. Not bad for bar food, wouldn’t you agree? If you’re looking for a limited-time bacon affair (which might be for the best), head to Jake’s Sandwich Board for April's sandwich of the month, the Charlie Brown. 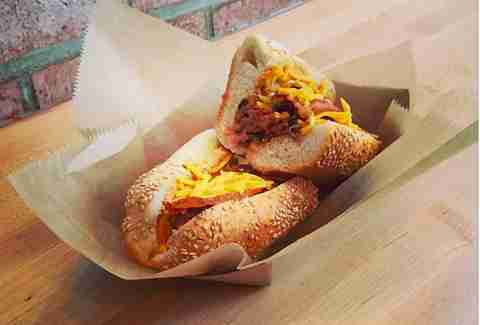 Jake’s tops its slow-roasted brisket with cheddar cheese, peanut butter, and bacon -- we’re sensing a common theme that bacon and peanut butter go pretty well together. 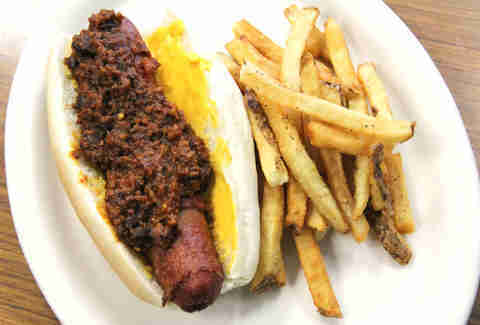 Given that we’ve already declared the Heart Attack Dog at Cousin's as one of the best bacon dishes in America, we have to double down that it’s one of the best dogs you can get in Philly. Cousin’s has always been the place to go when you’re chasing the bacon dragon. If you sub out fries with an order of bacon jalapeño tots (highly recommended), you probably should be checking into bacon rehab. Not one to waste, Khyber Pass Pub has found a unique way to utilize bacon fat. Taking what would normally end up in the garbage -- or more likely, clogging your kitchen sink -- the chefs use the fat for popping corn. 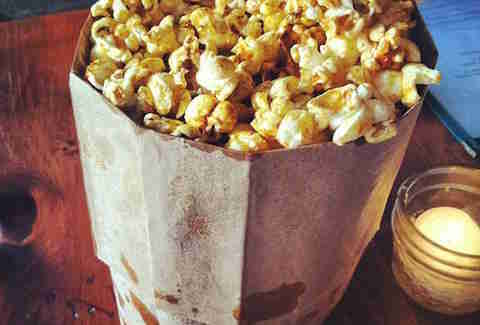 Topped with cajun seasoning, the popcorn hits all of the salty, spicy, and greasy notes that make it a great accompaniment to a cold beer. 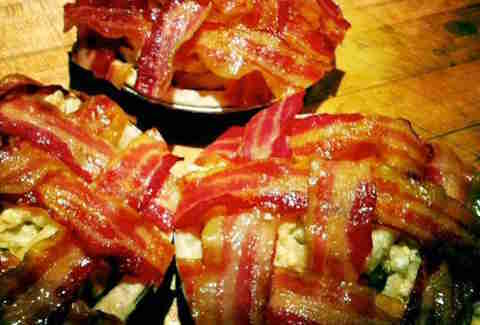 While bacon has always been acceptable at breakfast, lunch, and dinner, serving it for dessert may be overload. Even if you have your doubts, head to Abe Fisher for a bacon revelation in the form of a bacon egg cream -- a modern riff on the classic chocolate egg cream. 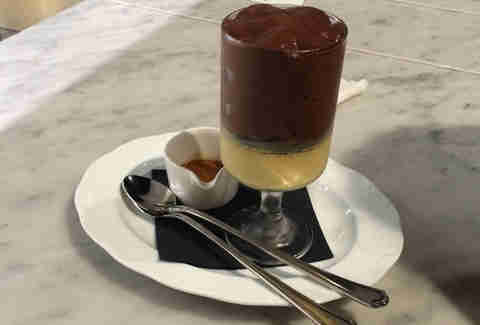 The dessert starts with a bottom layer of vanilla cream, a middle layer of crumbled, dehydrated Niman Ranch applewood bacon with Oreo crumble, and is topped with a chocolate egg cream, and smoked maple syrup. If you want to find out how to elevate mac and cheese into the ultimate indulgence, do the math: Wedge + FIg + woven bacon + mac and cheese pie = a dish that could kill a viking. It features homemade mac and cheese sandwiched between a flaky pie crust and Leidy’s local bacon. For the amateur chef, you can make your own bacon weave at home but we recommend heading to Old City to see how the pros do it first. Known for its over-the-top, Frankenstein’d menu creations (buffalo chicken donuts, pb&j bun burger) it’s not surprising that the current menu at PYT features a delicious bacon-heavy item. 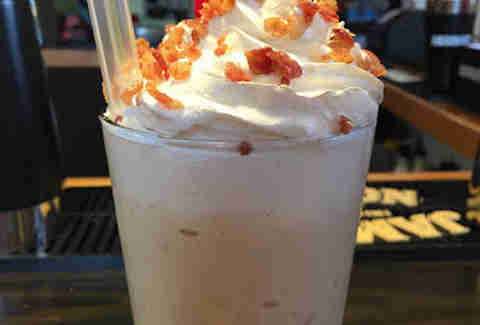 Inspired by late-night munchie sessions by the PYT staff, the Peanut Butter Bacon Time is the perfect nightcap (assuming you want to go into a food coma): an adult milkshake made with Jack and Jill vanilla ice cream, vanilla vodka, peanut butter, and applewood-smoked bacon. 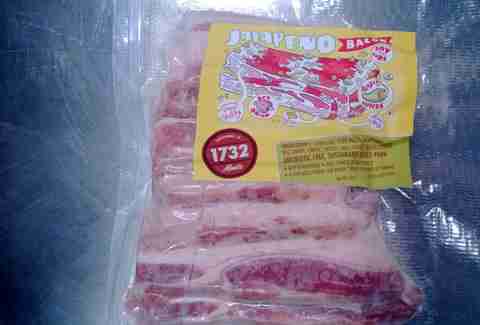 Not a singular dish, per se, but you have to throw 1732 Meats into the mix when you're talking about the best bacon in the city. Locally made with heritage pork, the business is known for its non-conventional bacon flavors like Black Peppercorn, Garlic Insanity, Jalapeno, and Spanish Smoked Paprika. You can sample 1732 Meats at a few local restaurants (like the Tap Room on 19th and Blue Duck Sandwich), or at DiBruno brothers. While specialty donuts aren’t as cutting edge as they were in recent years -- thanks in part to Philly’s Federal Donuts -- Undrgrnd Donuts is worth a mention for pushing the pastry envelope with its crazy flavor combinations. 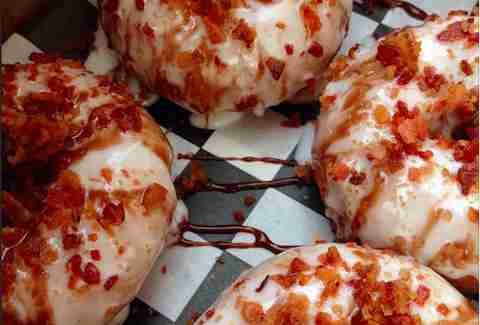 One of our favorites, the Homer, takes the concept of a black-and-white cookie and puts a savory spin: a vanilla-dunked donut topped with chocolate-covered bacon bits. Since Undrgrnd is a food truck (no brick and mortar location yet), you’ll need to catch them at Love Park or one of the area food festivals this spring.